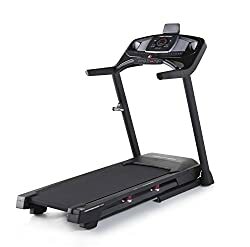 What Are Some Drawbacks of Cheap Treadmills? 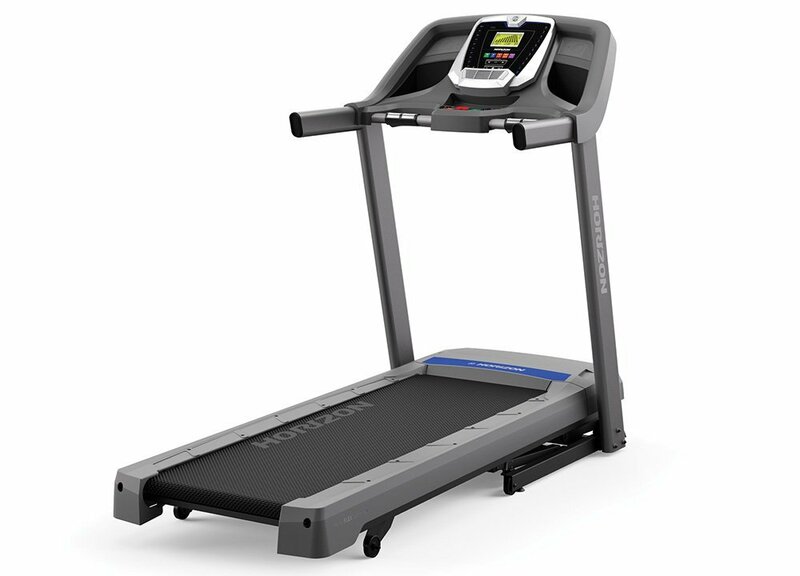 The best treadmill under 1000 comes from the top brands like Proform, NordicTrack and LifeSpan Fitness. Our detailed comparison chart in this treadmill review will help you analyse and compare critical features that makes a treadmill GREAT. So, without any further ado, let’s start the review. A treadmill is a good way to burn calories, burn fat and lose a few pounds. However, who has the time to go to a gym every single day? It just isn’t practical. This issue was considered by many fitness companies, leading them to create treadmills designed for home use. Some of these treadmills for the home are super expensive, and then there’s averaged priced ones under $1,000. If you’re willing to spend nearly $1,000 for a treadmill in 2018 – 2019, you’re in luck. There are some good quality treadmills under 1000 on the fitness market. Below is the comparison of the 3 Best Treadmills under 1000 dollars price range. You will be able to compare their critical features. The Proform 505 CST is the our best treadmill under 1000. It will help you reach all your fitness goals and help you create some new ones. With this treadmill, you can walk, jog or run and still get a decent workout. It’s easy to get started on this treadmill. Simply step aboard the deck and start any one of the 18 workout apps with a push of a button. These apps are complete, professional workout programs that help you reach your fitness goals. Intensify any workout by adding the incline to it. The incline percentage goes from 0% to 10% with a push of a button. If you’re a marathoner, prepare your body and legs for uphill routes by automatically raising the incline percentage. If you feel the need for speed when you’re exercising, then you’ll appreciate the fact that this treadmill can go up to 10 MPH. For those who like a steady workout, at least you know there’s another option if you’re ever feeling adventurous. The 2.5 HP commercial grade motor and faster flywheel gear ratio take the credit for providing the impressive speed. You can change speed levels instantly thanks to the quick speed control. 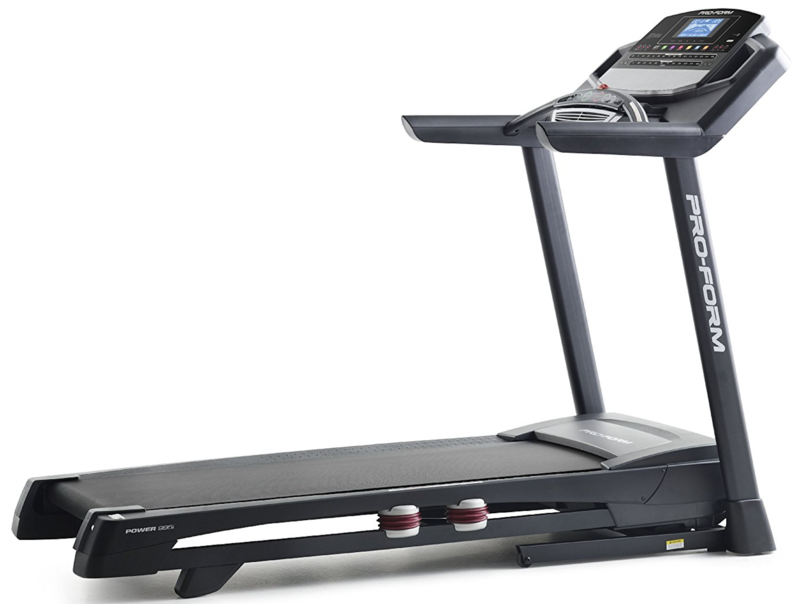 ProShox Cushioning is inside the deck of every treadmill engineered by ProForm. It’s a cushiony layer inserted into the entire deck area to help reduce the impact of the walking, jogging and running. The impact cause stress and pain on the lower body, which prevents you from exercising longer. 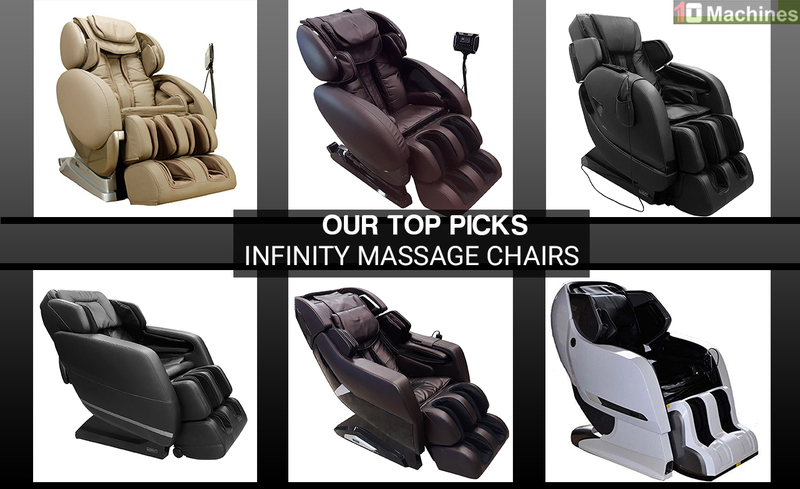 With this cushiony system, you can go the distance without feeling discomfort. The 55″ long running belt gives you room to make wider strides. Its 20″ width gives your upper body extra space to move around. ProForm tests the running belt for a million cycles to ensure you’re getting a sturdy, reliable running belt. Get an in-motion heart rate reading with the EKG Heart Rate Monitor. Just grab the handlebars with the built-in hand-grip sensors as you workout. In seconds, you’ll get a heart rate reading. A large, back-lit LCD display shows all your workout data. You can keep track of your heart rate, mileage, time, speed, distance and calories burned. ProForm adds a few special touches to this treadmill to enhance your workout experience. 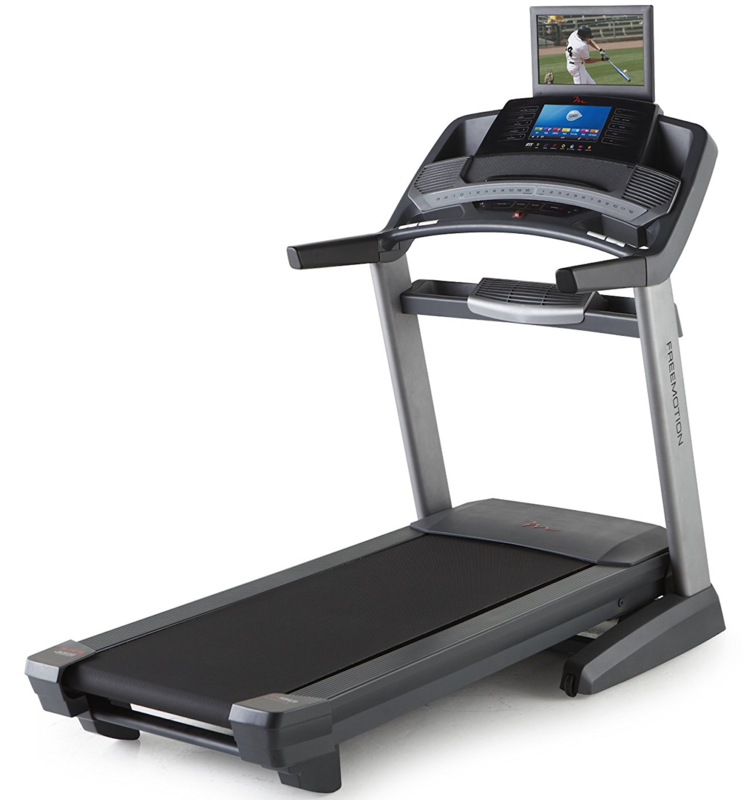 The Proform 505 CST treadmill has a tablet holder so you can prop up your tablet and start watching your favorite movies or TV shows while you’re working out. If you’d rather listen to music, you’ll love the audio system with two speakers. Connect your iPod or MP3 player to the audio auxiliary port. Listen, exercise and repeat. The frame has a lifetime warranty, and the motor has a 25-year warranty. However, parts and labor are covered for only one year. A few customers complained of loud noises coming from the treadmill. Some customers didn’t like the quality. Click here to see the price of the ProForm Performance 505 CST on Amazon. 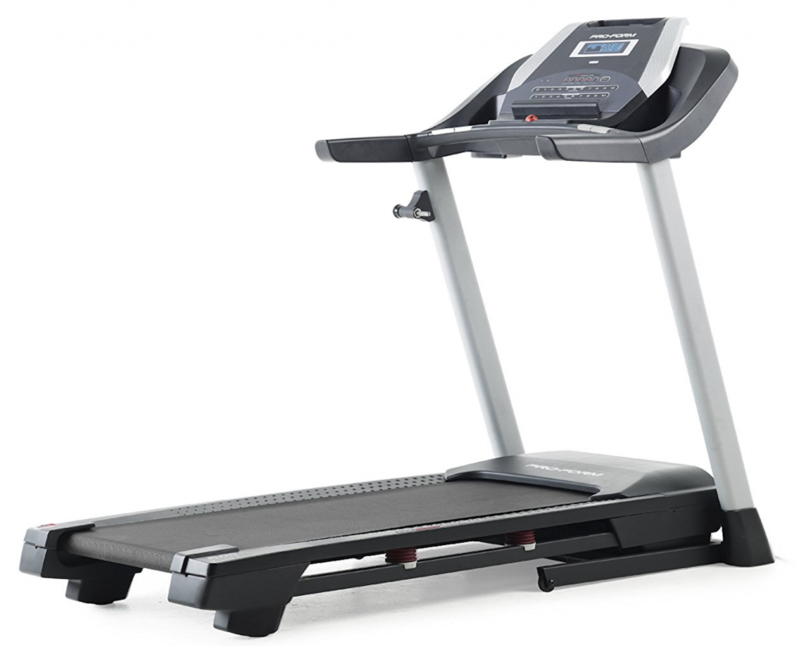 Get a top-notch workout with the NordicTrack C 990 treadmill. This is our 2nd best treadmill under 1000 and equipped with everything you need to your achieve your fitness goals. A beneficial thing about owning a C 990 treadmill is that it comes with iFit already enabled. iFit provides you with a library of exercise programs, daily workouts, access to training videos and the chance to compete with your friends. Best of all, iFit lets you choose routes from places around the world using Google Maps and recreates the route on the treadmill. The 7″ touchscreen, provided by iFit, is in full-color and has internet. On the touchscreen, iFit displays the Street View of the routes you choose to simulate for your workout. 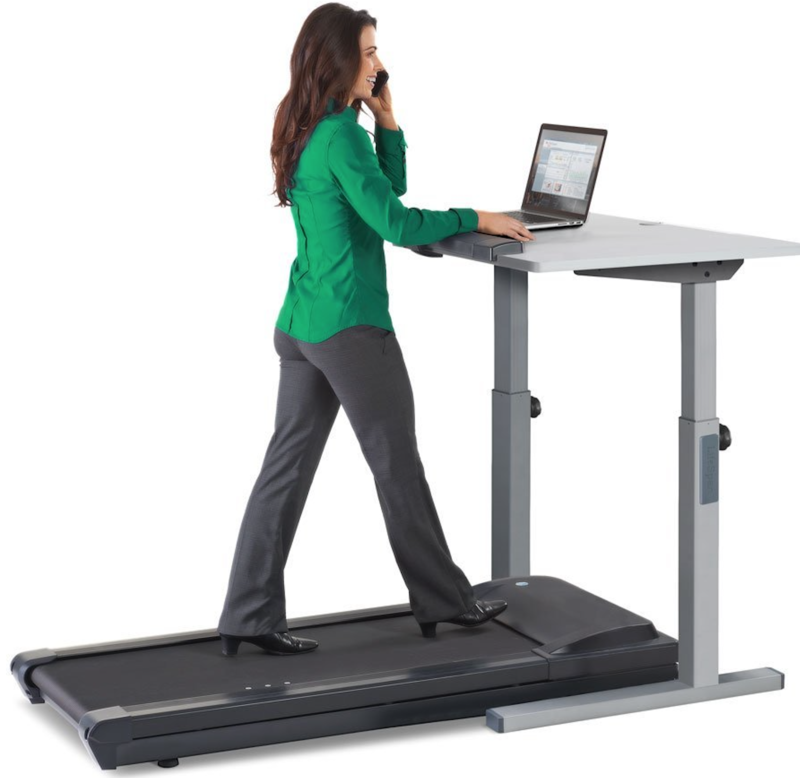 Or, you can just use it to go online while you’re exercising. Additionally, there are 32 pre-set professional workout programs developed by certified professional fitness trainers. Step aboard and decide whether you want to do a calorie burn workout, speed workout, incline workout or a heart rate control workout. With a speed range of 0-12 MPH, you can run or keep a steady pace. Turn up the heat on your workout session by adjusting the incline. With a push of a button, you can change the incline level from 0% to 12%. Using the incline will help you burn more fat and calories. iFit automatically adjusts the incline to recreate any trail that you can pull up on Google Maps. There’s a 3.0 HP (Horsepower) motor that is strong, quiet and provides a smooth running power. The 20” x 60” tread belt is supposed to decrease noise and friction for a quieter workout session. Additionally, the tread belt has FlexSelect cushioning. With a turn of the knob, FlexSelect cushioning can be turned on for a softer, comfortable workout or turned off for a harder surface. What’s a treadmill without a few amenities? 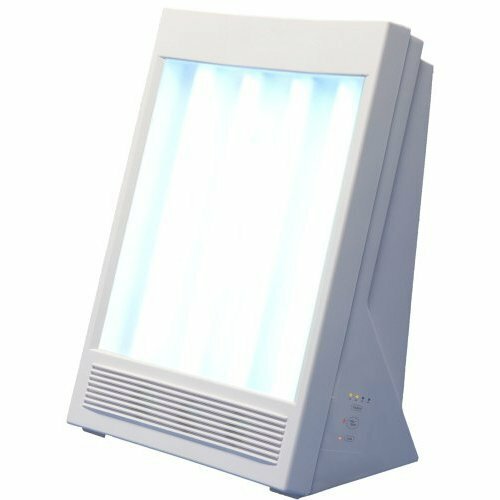 The AutoBreeze fan keeps you cool during your workout. Its speed level is adjustable. You can connect your iPod, MP3 Player and smartphone to the Intermix Acoustic Sound System and listen to music through two speakers. Also, there’s a tablet holder so you can put your tablet on it and watch your favorite TV shows or movies while you workout. The frame and motor have a lifetime warranty. Parts have three-year coverage, and labor has one-year coverage. A few customers complained that the motor was defective. Some customers didn’t like customer support. 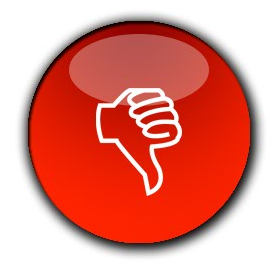 Overall product quality was bad for some customers. The ProForm Performance 400i embraces walkers, joggers and runners. There’s no need for any previous experience. Thinking about adding a little variety to your workouts? Try using the 18 workout apps. These programs were created by certified personal trainers so you’re getting exercises that will bring you results. You can access the apps the moment you step on deck by a push of a button. A 2.5 CHP Mach Z motor and a speedier flywheel gear ratio allows you to reach a maximum speed of 10 MPH. Running at a fast pace every day won’t affect your power bill thanks to the in-home efficiency booster. However, if you like to walk or jog, this motor works at slower speeds too. Challenge yourself and vary your workouts by adjusting the incline from 0% to 10%. Regular use of the incline strengthens and defines your legs. Additionally, you can make sure you stay in the correct cardio zone with the EKG Grip Pulse Heart Rate Monitor. ProShox Cushioning lessens the impact of your every stride to help you reduce stress off your hips, legs, knees, ankles and feet. You’ll be able to workout longer. An audio system complete with two speakers lets you connect your music devices so you can exercise to your favorite music. Also, you can put your tablet in the tablet holder and start catching up on missed TV episodes or movies. The frame has a lifetime warranty, but the motor has a 25-year warranty. Parts and labor are covered for a year. All of its features and warranty made it to our list of best treadmill under 1000. It is also the best budget treadmill under 1000 dollars price range. It doesn’t have a fan. Some customers found it difficult to connect to iFit programs. 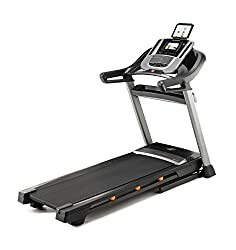 Click here to see the price of the ProForm Performance 400i Treadmill on Amazon. 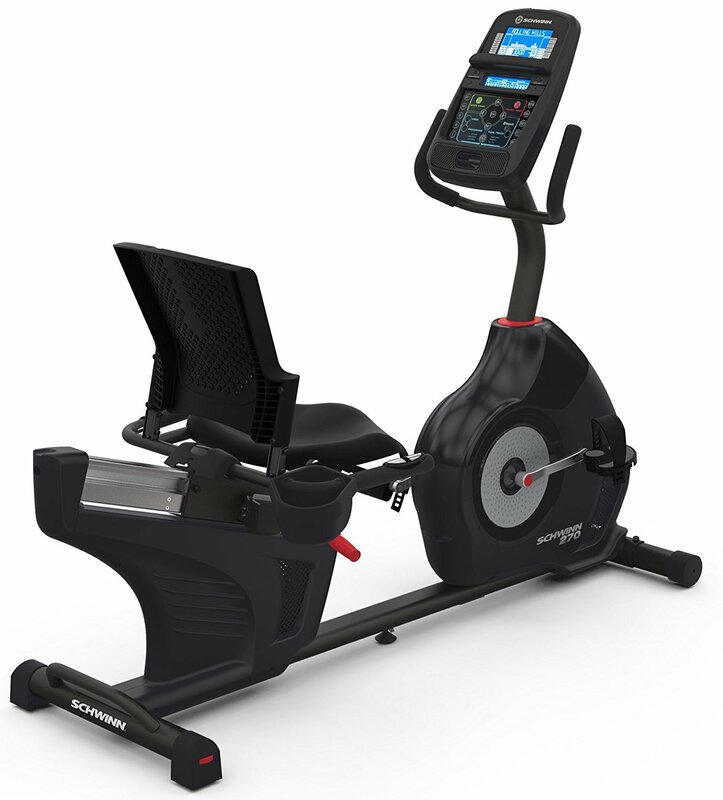 The LifeSpan TR1200i combines technology and fitness to bring you the ultimate fitness experience. Exercise Physiologists developed 21 workout programs for this treadmill. These programs are effective and designed to help you burn fat, get a good cardio workout and improve your health. Second, the 20” x 56” running belt is capable of handling walking, jogging and running. Users up to 300 pounds can go as fast as 11 MPH and as slow as 0.5 MPH. 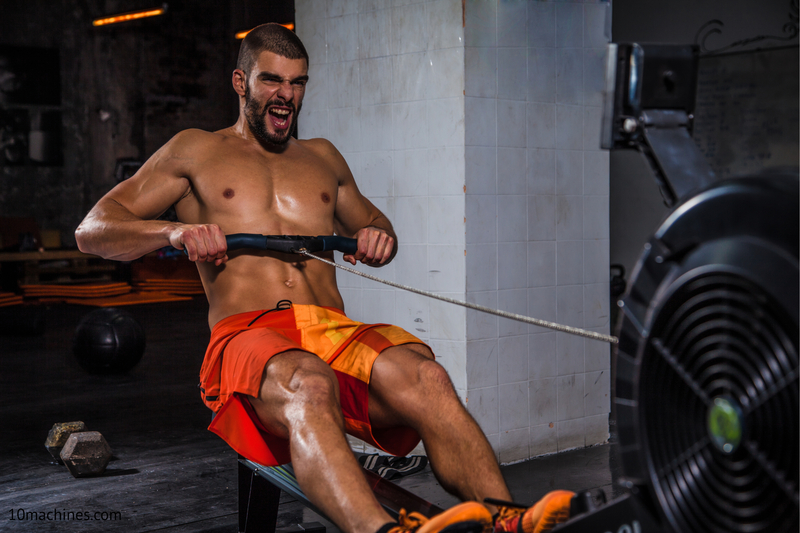 Regardless of your speed, you can boost the intensity levels by adjusting the incline. The incline goes up to 15 levels. Keep moving forward with comfort and ease. 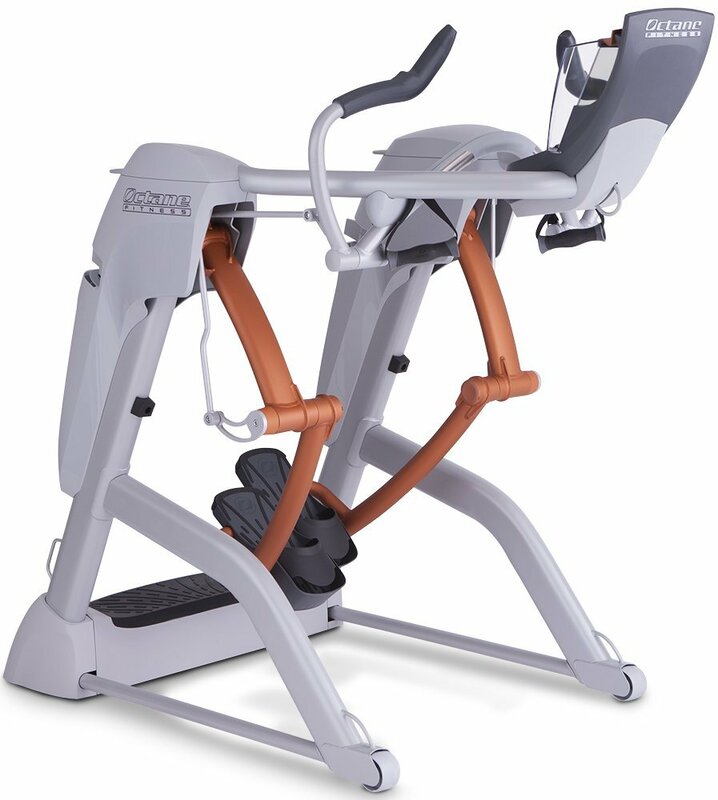 The treadmill deck is held up by six compression shock absorbers that protect your joints and lower body while you exercise. And, the thing that supports the treadmill deck is the robotically welded, steel frame. TR1200i has a few exclusive features including the assisted console navigation, Intelli-Guard and Intelli-Step. Intelli-Step is an accurate step counter. It records each step you take, which is perfect for daily goal management. Furthermore, you can’t be too careful when you’re on a treadmill so LifeSpan has created Intelli-Guard. Intelli-Guard pauses the running belt within 20 seconds of stepping away from the treadmill deck. You can keep up with your workout data beyond the treadmill. Insert a USB drive into the console and your data is automatically recorded every 20 seconds. It will track your time, distance, step count, heart rate and calories burned. After you’re done, remove the USB drive and insert it into your PC. It will upload your workout data to your Club account where you’ll be able to view it from anywhere. It’s easy to store away the TR1200i. With the EZ-Fold Technology, the treadmill can easily be folded up. The Soft-Drop System lets you unfold it without it falling fast to the floor. TR1200i’s frame and motor have a lifetime warranty. Its parts have a three-year warranty and labor comes with one-year protection. A few customers complained about the quality. Customer support was inadequate for some customers. Click here to see the price of the LifeSpan Fitness TR1200i Treadmill on Amazon. Horizon Fitness T101-04 treadmill is a favourite among consumers looking for a reliable treadmill at a good value. Good Housekeeping Institute and Treadmill Doctor rated it as a good buy. 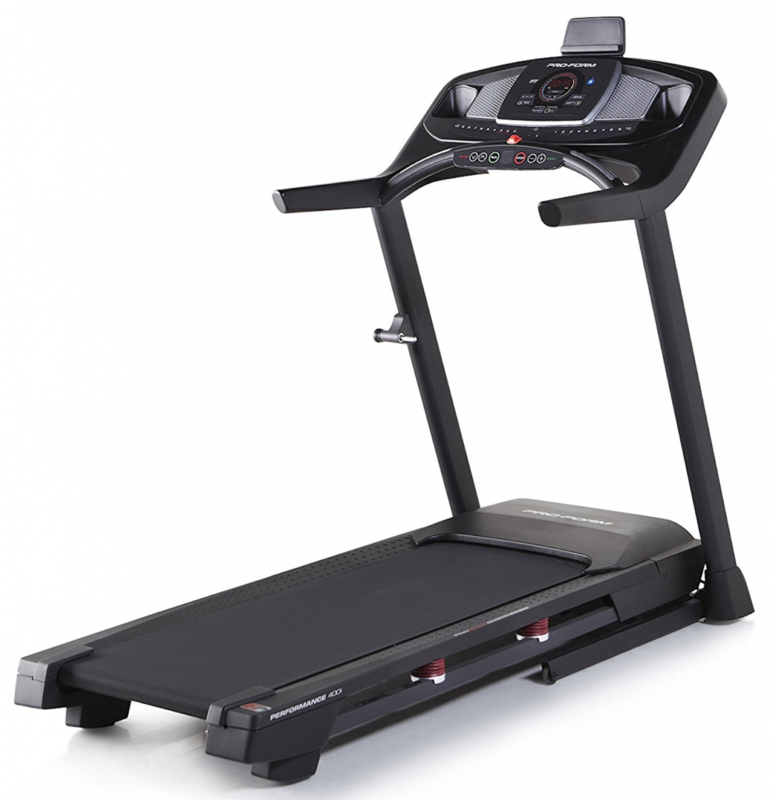 This comes in our lowest ranking when it comes to buying best treadmill under 1000. 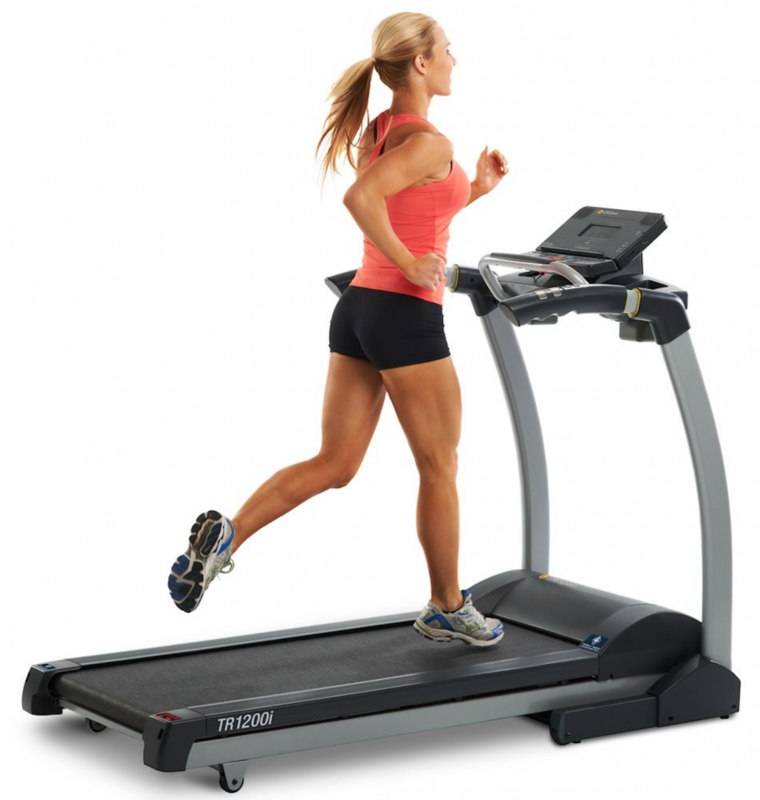 This treadmill is ideal for people that prefer to exercise on a steadier pace, like walkers and joggers. Assembly is simple and is estimated to take only 15 minutes. T101-04 is preloaded with 30 challenging exercise programs, such as 1 manual workout program, 10 distance-based workouts, 10 step-goal workouts, 6 calorie-goal workouts and 3 interval workouts. The 2.25 Continuous-Duty Horsepower motor quietly powers all these workouts and transitions to accommodate changes in speed. Speed range goes as low as 0.5 and as high as 10 MPH. The Variable Response Cushioning System inside the deck combines support and shock absorption to reduce stress and strain on the lower body. It balances the cushioning by providing more cushion in the front of the deck where the foot lands, a neutral zone in the middle, and firmer in the back where your foot pushes off. 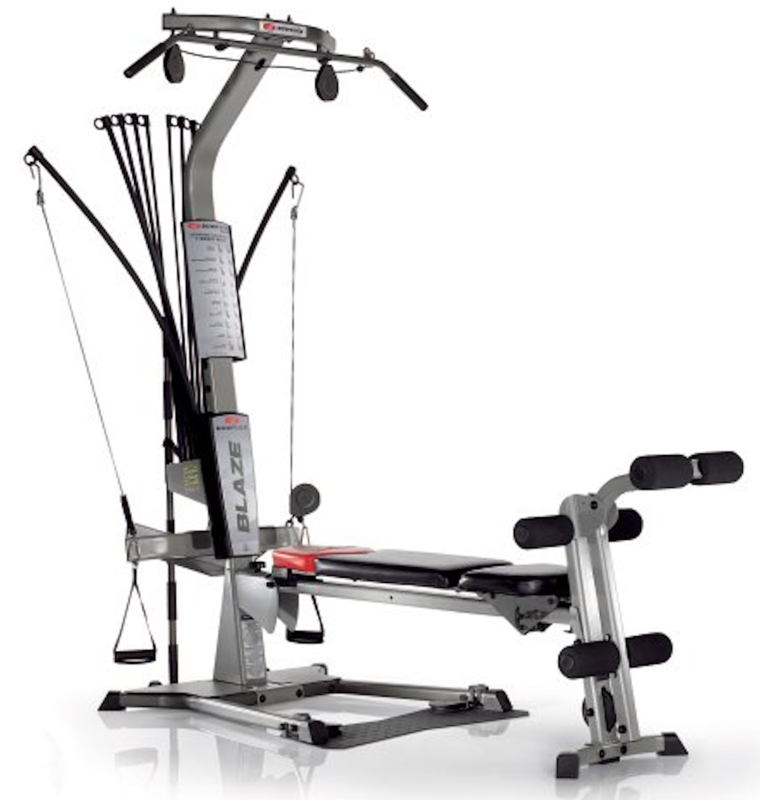 Amp up your workout and maximize your weight loss potential by adjusting the incline level. The incline can go as high as 10%. Your workout data appears on the 5” LCD Display. The treadmill tracks distance, heart rate, incline percentage, speed, time and calories burned. If you use music as motivation to push forward while you exercise, then you’ll appreciate the audio system with Sonic Surround speakers. You can plug up your music devices and start listening to your favourite playlist. 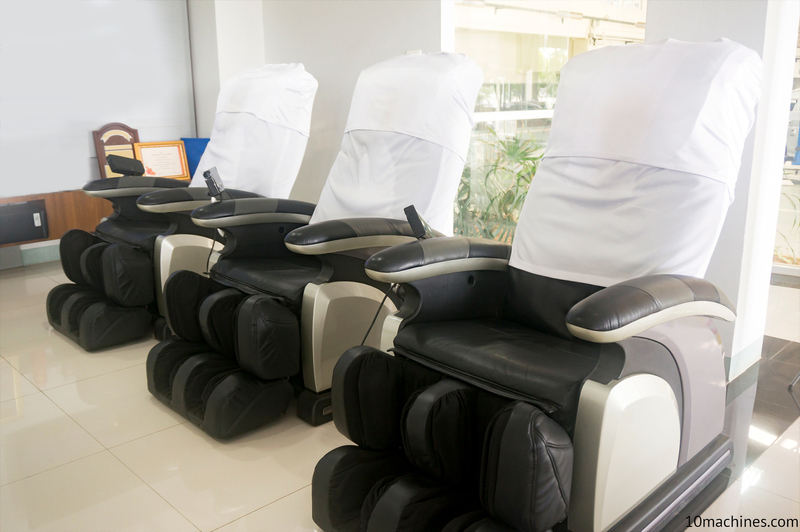 T101-04 warranty covers frame (lifetime), motor (lifetime), cushioning (1-Year), Parts (2-Years) and Labor (1-Year). Some customers complained that the treadmill’s quality was bad. A few customers experienced assembling issues. Click here to see the price of the Horizon Fitness T101-04 treadmill on Amazon. So you have a treadmill budget under $1,000. Now, you’re probably confused about how to buy a treadmill because of the vast selection of treadmills available for under $1,000. You should make a checklist of what’s important to you, like your fitness goals, weight, height and whether you’ll be walking, jogging or running. Be prepared to compromise because treadmills under $1,000 won’t have all the bells and whistles you want. If you’re a runner, look for a treadmill with a decent motor. A 3.5 HP motor is the standard treadmill motor for runners. However, try to get as close to 3.5 HP as possible. A powerful motor will survive your toughest workouts. 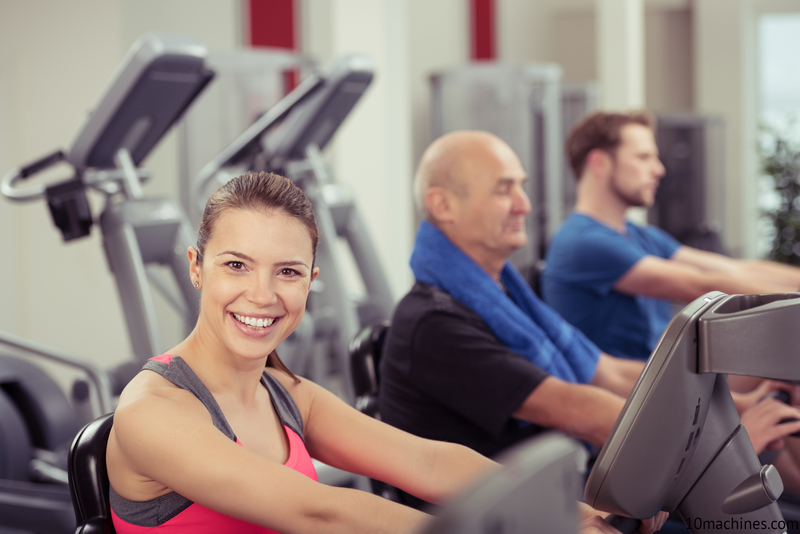 Decks and running belts are two other things you should compare when shopping for treadmills. 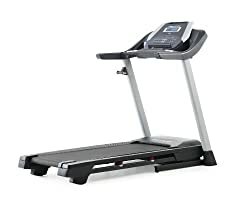 Look for a treadmill with a lengthy, wide deck and running belt to accommodate your height and stride. You won’t get much done with a short and narrow deck and belt. More importantly, compare warranties. The last thing you want is a treadmill with a horrible warranty. A 25-year warranty for a treadmill motor is a pretty good offer. 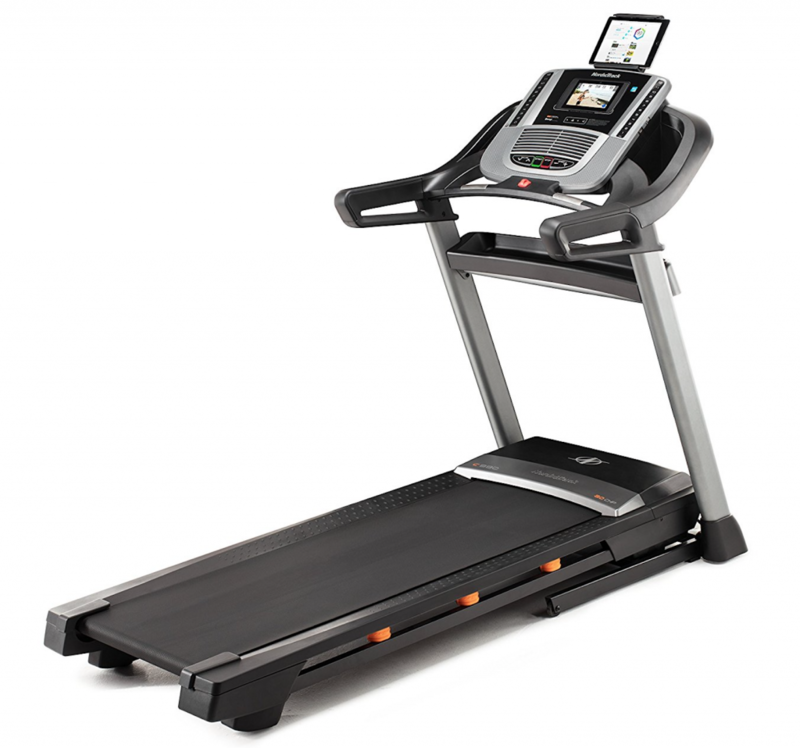 However, some of the best treadmills under $1,000 offer lifetime warranties for the frame and motor. This means you’re covered if the frame breaks or the motor stops working at any time. For the parts, look for a three year or more warranty. A labor warranty should at least be a year. Cheap treadmills attract people because of their low price. However, a low price for a treadmill doesn’t guarantee you’ll get good quality. 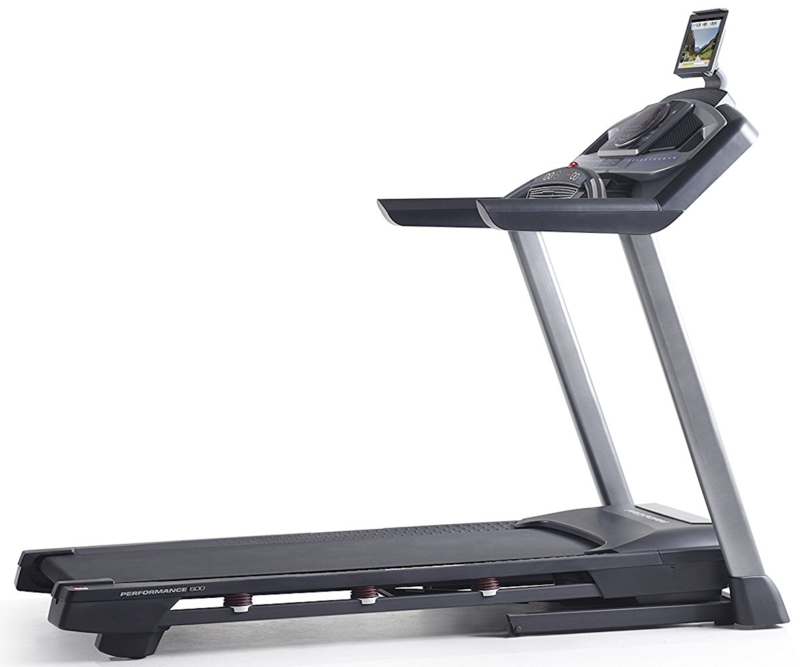 Fitness manufacturers make inexpensive treadmills hoping to sell more to consumers, which they usually do. A drawback of cheap treadmills is that they’re engineered with low-quality parts. One of the first things manufacturers cut back on is the motor. Cheap treadmills have weak motors that lack sufficient horsepower. Typically, these motors produce 2.25 HP or lower, which is incapable of withstanding continuous walking, jogging or running. Additionally, they’re much noisier when in operation. Most cheap treadmills have lightweight frames that can rock while you’re exercising. Furthermore, they can’t support too much weight. These frames are lightweight because they are made with cheap materials. Decks and running belts in cheaper treadmills aren’t sturdy or dependable. The decks are shorter, thinner and narrower, preventing you from getting a good workout without worrying if you’re going to fall off. Also, cheap deck and running belts break faster and can’t support too much weight. Another drawback of cheap treadmills is that they require more maintenance than an expensive treadmill. For example, a treadmill running belt will need to be lubricated and adjusted more often compared to an expensive treadmill. 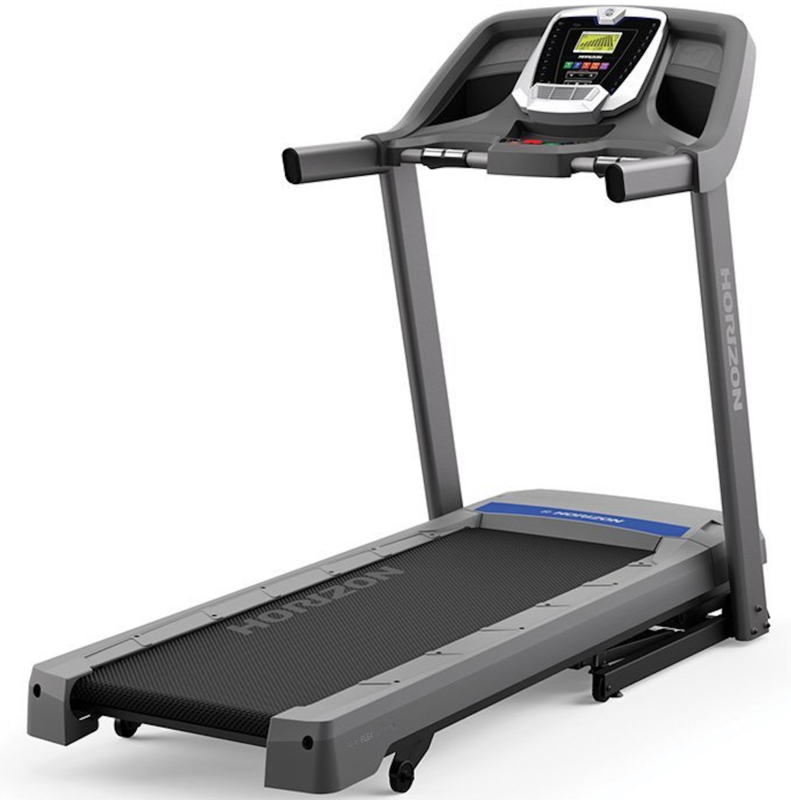 Some poor quality treadmills way below $1,000 don’t have a cushioning system. With all the stress that you’ll feel from not having any cushion, your lower body may never forgive you. Other things that a cheap treadmill can lack is a heart rate monitor, audio system, fan and speed. We selected the best treadmill under 1000 while not compromising on the features. 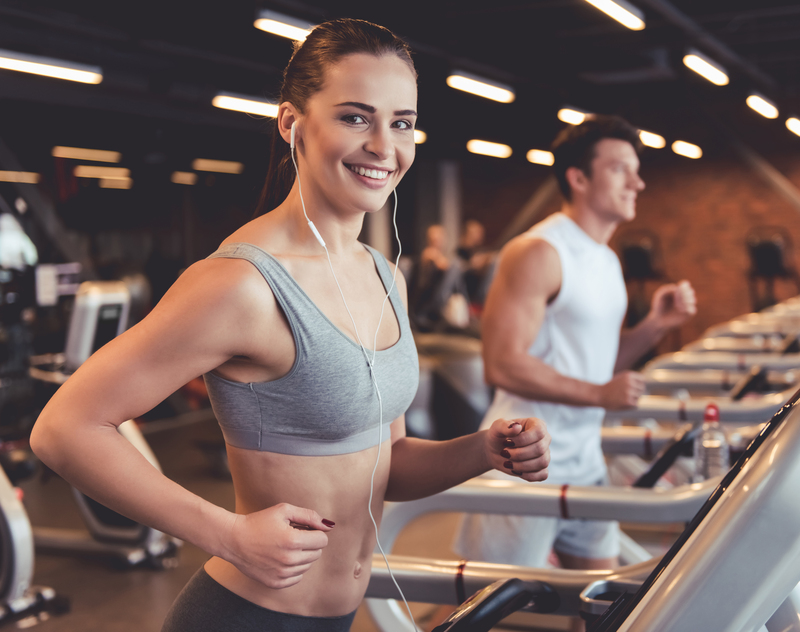 You can go through our comparison chart again and you will see that our Top treadmill and best value model contains all the features of the top-notch treadmills. Even our budgeted model Proform 400i carries majority of the features found in the best treadmill under 1000 for 2018 (Proform 505 CST). A good price range for treadmills under $1,000 is about $599 to $999 as shown above in the top five list. Treadmills that are too cheap means the manufacturers have cut some corners in the quality department. A treadmill should be considered as an investment. Like any investment, you should do your research before investing.